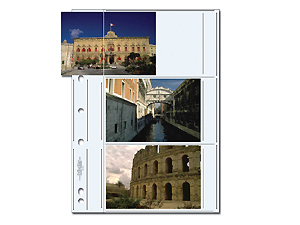 Clear acid free pockets hold six horizontal 4x6 prints per page. (Extra tall page requires G-Series binder). Ideal archival storage solution for your photos.